RALEIGH, N.C. -- North Carolina lawmakers finalized a $201 million hurricane and wildfire relief package Wednesday, sought by Gov. Pat McCrory in a special session he called. But they didn’t go home as fellow Republicans then called their own session to weigh legislation, some of which could threaten the incoming Democratic governor. Within 30 minutes of wrapping up their work on the final aid proposal, GOP legislative leaders had dissolved the two-day session on Hurricane Matthew and mountain fires and entered a new one. By evening, legislators had filed an assortment of bills, some of which would make dramatic changes to state government and are clearly designed to keep in check Gov.-elect Roy Cooper when he replaces McCrory on Jan. 1. Cooper defeated the incumbent last month by just over 10,000 votes. 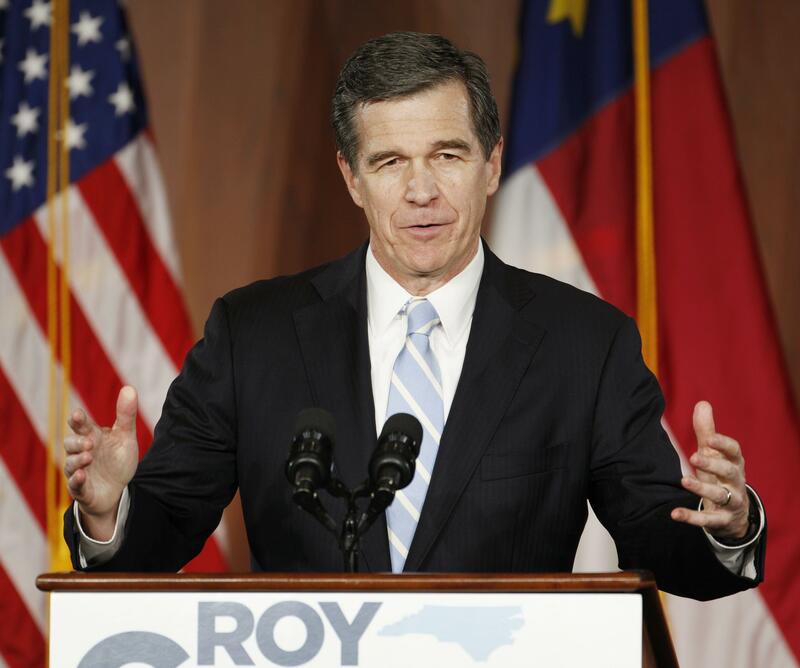 A House bill would force Cooper to take his Cabinet choices to the Senate to get confirmed and would remove the governor’s appointments to trustee boards at University of North Carolina system schools. The state Constitution gives the Senate authority to confirm a governor’s choices to boards and commissions, but that power has been latent. Lewis’ measure also would reduce the number of executive branch employees not subject to state job protections that Cooper could hire from 1,500 to 300. These workers are often policy makers who are politically allied with a governor. A bill filed by Senate Republicans would merge the State Board of Elections and State Ethics Commission when the new year begins, revive partisan elections for the state Supreme Court and Court of Appeals and let McCrory pick the next Industrial Commission chairman for the next four years. Another bill would confirm the nomination of McCrory state budget director Andrew Heath to a Superior Court judgeship. Committee meetings were scheduled Thursday to consider some of the legislation. House Democrats were furious about the new special session, saying Republicans used the disasters as pretense for a power grab before Cooper takes office. They called it a violation of the state constitution. GOP lawmakers used a constitutional tool requiring the signatures of three-fifths of House and Senate members to hold their own session. They vowwd to take the matter to court, reports CBS Raleigh, North Carolina affiliate WNCN-TV. “This is why people don’t trust us, this is why they hate us ... because of this right here - using hurricane relief as the reason to come back to Raleigh to do a lot of things because you lost an election by 10,000 votes,” Rep. Darren Jackson, D-Wake, said on the House floor. Protesters were outside the House and Senate chambers all day, says WNCN. House Speaker Tim Moore, R-Cleveland, said the new session was lawfully called and said it was needed because they wanted McCrory’s session to be only about disaster relief. Senate leader Phil Berger, R-Rockingham, defended the process and said in the past Democrats in the legislature had previously weakened Republican statewide officials. The late unveiling of legislation overshadowed the relief package, which emphasizes rental housing for more Down East families displaced by Hurricane Matthew and long-range planning for heavily damaged towns and neighborhoods. There’s also money to pay for firefighting when tens of thousands of acres burned in the mountains this fall. McCrory was expected to sign the legislation. No tax increases are required to fund the relief package- the money is coming largely from nearly $1.6 billion in emergency reserves and higher than expected tax collections. The bill’s managers in the Senate emphasized lawmakers will likely appropriate more state funds when they reconvene in early 2017. Hundreds of millions of federal dollars already have reached North Carolina or should soon in response to the historic floods. McCrory’s administration has estimated the storm’s economic impact at $2 billion. The special session called by McCrory had been rife with speculation about whether GOP leaders would tackle issues other than disaster relief. They dismissed claims by Democrats and their allies that they would try to increase the number of state Supreme Court justices as a power-play to preserve the GOP’s majority on the court despite losing it during the November election.